Last week I had the privilege of being on the Dr. Stem Show – Living Fearlessly Outloud on Radio Outloud with Dr. Stem Mahlatini. We discussed my experiences with depression and suicide attempts as well as some of the lessons in my book, Still Here: How to Succeed in Life After Failing At Suicide. Suicide is a tragic event with strong emotional repercussions for its survivors and for families of its victims. In 2014 there were more than 42,000 people in the U.S. who killed themselves, according to the Centers for Disease Control and Prevention, making it the 10th leading cause of death overall. The numbers are astounding and a reminder that LIFE is precious. 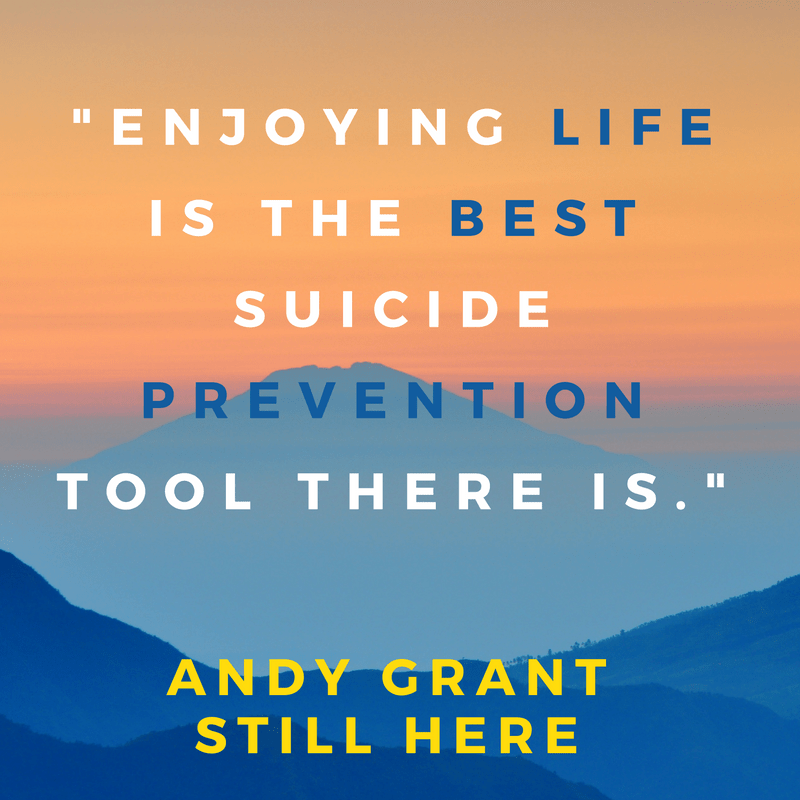 With enough education, empowerment, and encouragement our guest Andy Grant reminds us that enjoying and living life fearlessly out loud is the best suicide prevention. The annual age-adjusted suicide rate is 12.93 per 100,000 individuals. Men die by suicide 3.5x more often than women. On average, there are 117 suicides per day. White males accounted for 7 of 10 suicides in 2014. From 1999 to 2014, suicide rates in the United States rose among most age groups. Men and women from 45 to 64 had a sharp increase. Rates fell among those age 75 and older. The increases were so widespread that they lifted the nation’s suicide rate to 13 per 100,000 people, the highest since 1986 a concern that needs to be addressed as we face the holiday season. Andy teaches workshops ranging from energy tools to ebook publishing, and is the founder of Real Men Feel, a movement encouraging men to come out of the emotional closet. Andy is committed to helping people realize how magnificent life is meant to be. Andy believes happiness is a learnable skill and no matter what has happened in the past, no matter how we feel right now, we are all capable of feeling happier and enjoying our lives even more. If you are in an emotional crisis PLEASE do not hesitate to reach out for help, now! Call 1-800-273-TALK in the United States. Visit suicide.org for international numbers. Leave a comment for: "Talking Suicide and “Still Here” with Dr. Stem"